Fashion is in the air at WAM as the museum’s student group, WAM Collective, is preparing for the upcoming No White fashion show and student design competition. 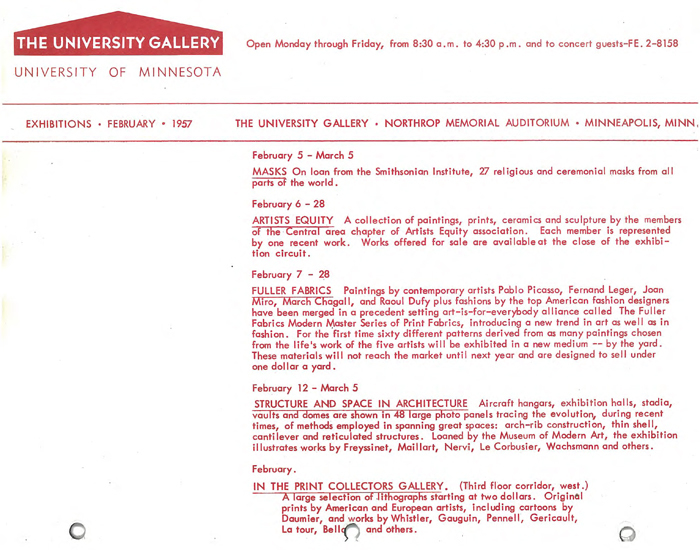 University students and gallery employees were also in a flurry over fashion in February of 1957 when the University Gallery opened an exhibition entitled, “Fuller Fabrics.” An exhibition poster (at left) promoted the exhibit. 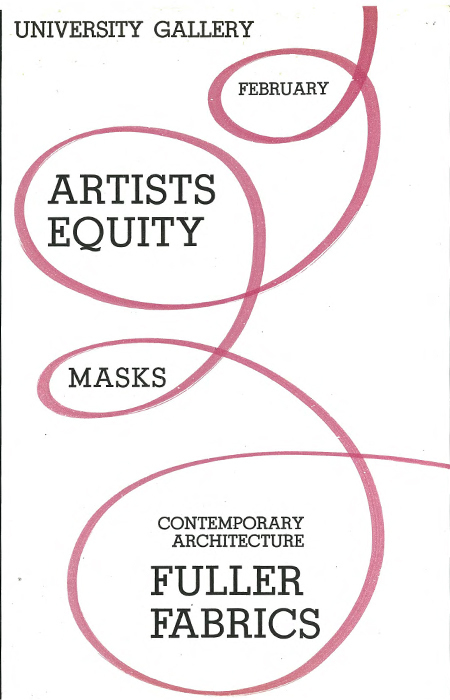 The exhibit featured a project titled, “The Fuller Fabrics Modern Master series of Print Fabrics” which displayed paintings by contemporary artists alongside nearly 60 different prints of fabric that were produced as inspirations from their works. 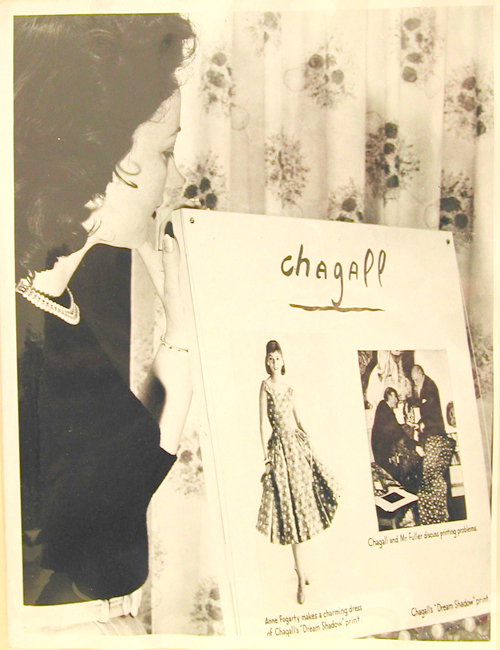 A feature article and photo spread in the November 14, 1955 edition of LIFE magazine titled, “New Fabrics Put Modern Art in Fashion” described Fuller Fabrics – a fabric manufacturer, and their project to reproduce the contemporary works of Marc Chagall, Fernand Léger, Pablo Picasso, Raoul Duffy, and Joan Miro on cotton fabrics which were to be sold commercially by the yard.